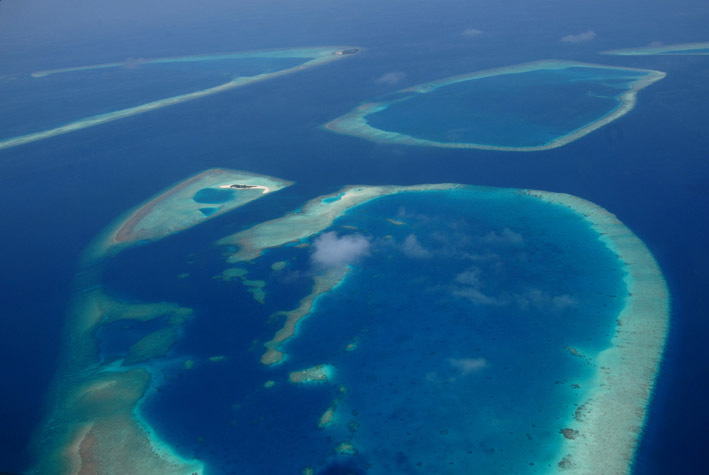 October 2011 – There are few places on the planet as remote as the Maldives. Landfall is a thousand miles away from much of the long string of 1,200 islands, most of which are little more than thin, uninhabited strips of sand. Diving into the heart of a Maldivian lagoon it is easy to imagine you are alone in one of Planet Ocean’s most distant paradises. Yet when I did just that a few days ago, in the heart of the Baa Atoll — 463 square miles of aquamarine Indian Ocean recently named a UNESCO Biosphere Reserve — something didn’t feel, or look, quite like paradise.